A stranded 30-year-old hiker nearly froze to death on Mt. Elden in Coconino National Forest, near Flagstaff, Arizona, earlier this month. The reason he was out in the wilderness: the pursuit of a free pizza. That's how Caleb Schiff, the owner of local Flagstaff pizza place Pizzicleta, told the story to local news outlet KPNX. He offered a free meal to anyone who climbed to the top of Mt. Elden by 8:30 am during a 21-day challenge that coincided with the Giro D’Italia bicycle race. Those who could make it to the top would get a golden ticket, per Pizzicleta's Instagram account, which features several photos of hikers at the top and receiving the tickets. One hiker however, who has not been identified, set off on the trail alone and poorly prepared in the middle of a snowstorm. He was reportedly wearing shorts and a tank top when attempted to scale the 9,301-foot mountain on May 9, 2017. 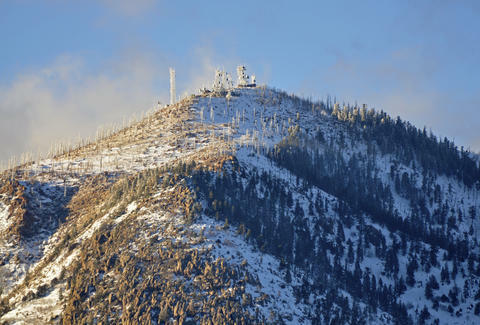 Photos from the local sheriff's office show the peak capped with snow and ice. "[He] was either unaware of the weather forecast or disregarded the forecast and set off ill prepared wearing shorts and light clothing," the Sheriff's Department posted in a statement. The ranger then took the hiker to the cabin to warm up and wait for a search-and-rescue. Eventually he was picked up by a friend and made a full recovery. 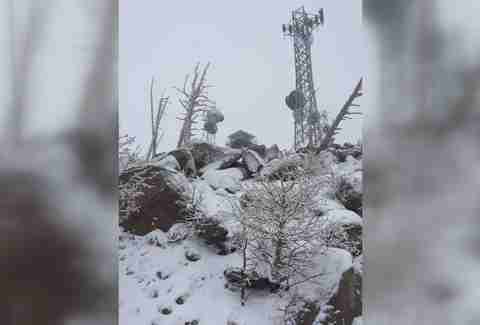 The Sheriff's Department statement cautioned hikers to check the weather forecast and better prepare for their outdoor activities. The owner of the pizza shop also emphasized that challengers should be prepared and check the weather before they hike. “We never want anyone to risk their life for pizza. It’s certainly not worth it,” Schiff said. It is unclear as to whether or not the 30-year-old hiker received a free pizza.